The trail along Yokun Ridge has been a favorite of mine for many years, even before the bench honoring George Wislocki, founder of the Berkshire Natural Resources Council, was placed at Mahanna Cobble in 2010. Last Tuesday the sky was a little gray, but the views were still wonderful. 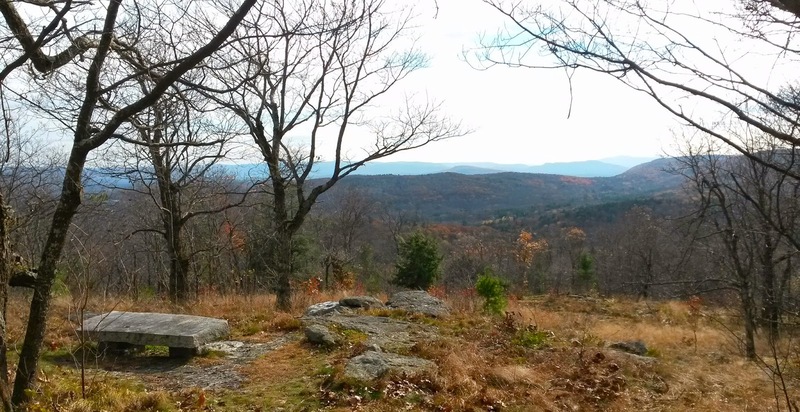 Thank you, George, for preserving our Berkshire ridges and many awesome natural sites! View from Yokun Seat toward Onota Lake. and its Executive Director for many years. The southerly view from George's bench at Mahanna Cobble. 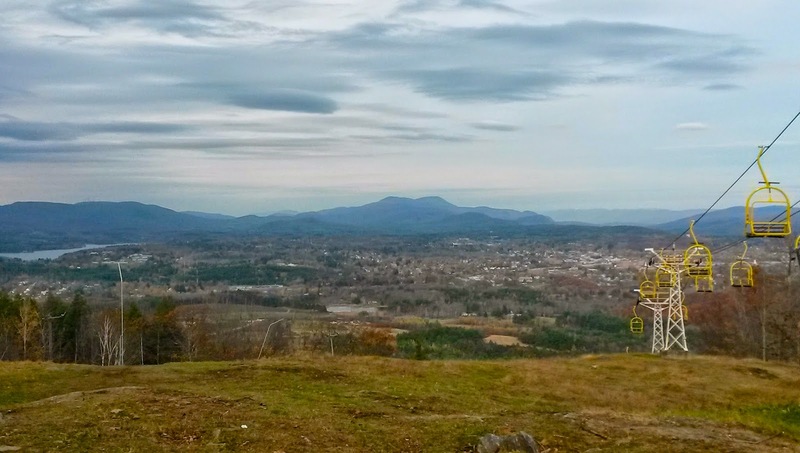 View from the top of Bousquet looking toward Pittsfield and Mt. Greylock. 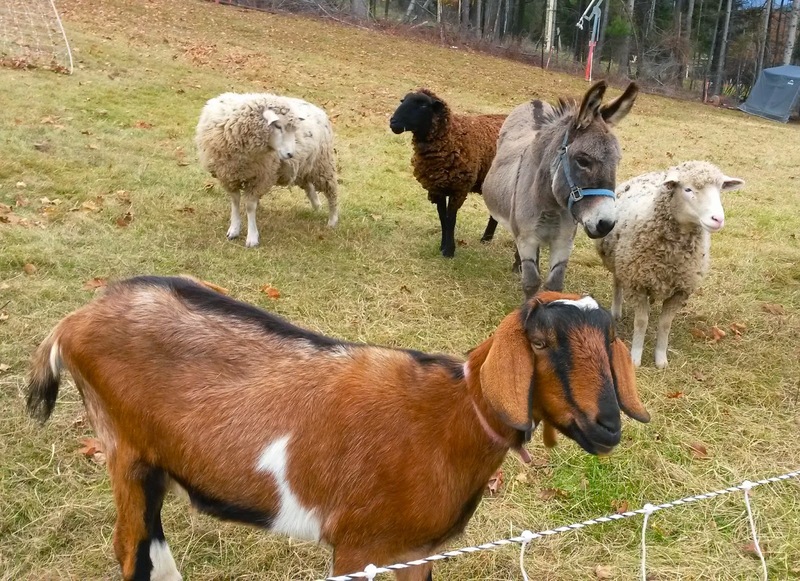 The friendly sheep and goats are helping to mow the ski slopes at Bousquet.